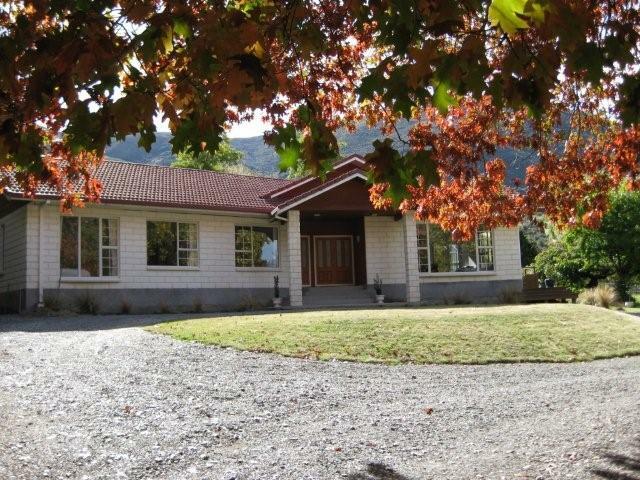 This property is situated on the northern side of the Awatere River (east of Upcot) and is mainly a grazing run. It was originally the back block of Avondale Station. Approximately 5787 ha is leasehold and 5547ha freehold. Glenlee has been owned since 1966 by Mr Ian Hamilton (formerly of Blenheim). In 1978 Mrs Philippa Hamilton became a partner. Ian Hamilton died in 2006 and the property is operating as Estate IG Hamilton and PJ Hamilton. The flock is Merino - a stud was established in 1969 and today the sale of Merino rams is a significant enterprise. Angus and Angus/Hereford cattle are bred on the station. Baleage is made in the summer Hay and supplementary grain is purchased. The first owner of Glenlee was Edward Bolton who arrived in Nelson in 1842 on the George Fyfe and married Elizabeth Redwood in 1845. He obtained a licence to occupy it in 1850. 1853 saw Glenlee sold to J Whitehead, 1860 to Howard and Bursill and 1869 to Adams, Bennett and Symens. Charles de vere Teschmaker took over the ownership in 1877 and Wm Shipley and others about 1907. Between 1907 and 1925 Glenlee saw six changes of ownership including the Macdonalds (1912 - 1918) and Shales from 1924. About 1926 it was purchased by the Samson family and for some years prior to 1966 was run as the Estate J M Samson. During the Hamilton's ownership the homestead which is situated 84km from Blenheim was replaced in 1988 and is built of Oamaru stone with timber features. A house was built and used as shearers' quarters in 1980 - part of which was a schoolroom for the 5 Hamilton children to study Correspondence school lessons. Today shearers now travel to the property and the Farm Manager and family occupy this house. Cattle yards and sheepyards, an implement shed, workshop and three large haybarns have been erected. The woolshed (built prior to 1900) has been altered and covered yards added. Considerable internal roading, fencing, sheep yards in the Cooper block and new dams have been completed on the property.